Zero worries and lots of fun. That's why you take private boat tours in Naples Florida. So you can enjoy sightseeing, fishing, and enjoying your time and company without having to worry about anything because you'll have an experienced and friendly captain with you. Private tours are great but you might also consider group tours on bigger boats if you want to save money and meet people. If you want to have a good time, Jason will make sure of it just by being himself. I've known him for years. 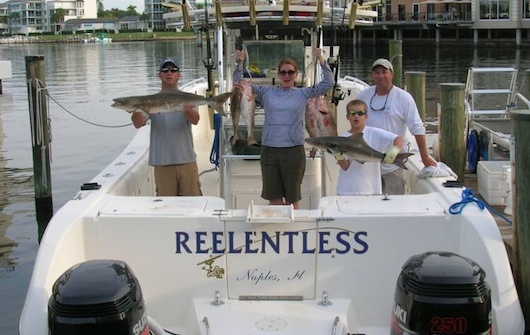 Offshore fishing on the 33 foot center console World Cat dubbed "Reelentless"